Welcome Drinks, Secretarial Services, Security Guard, Beauty Services, Front Desk, Swimming Pool, Doctor on Call, Catering, Party Hall, Safe Deposit Box-Front Desk. Air Conditioning Room, Curtains/Shades, Daily Room Cleaning, Complimentary Toiletries, Attached Bathroom, Complimentary Newspaper, Refrigerator Room, Smoking Rooms, H/C Water, Child Care. Banquet Facilities, Beauty Services, Breakfast Services, Business Facilities, Conference Hall, Doctor on Call, Laundry Facilities, Parking, Restaurant, Room Service, Secretarial Services, Bar. 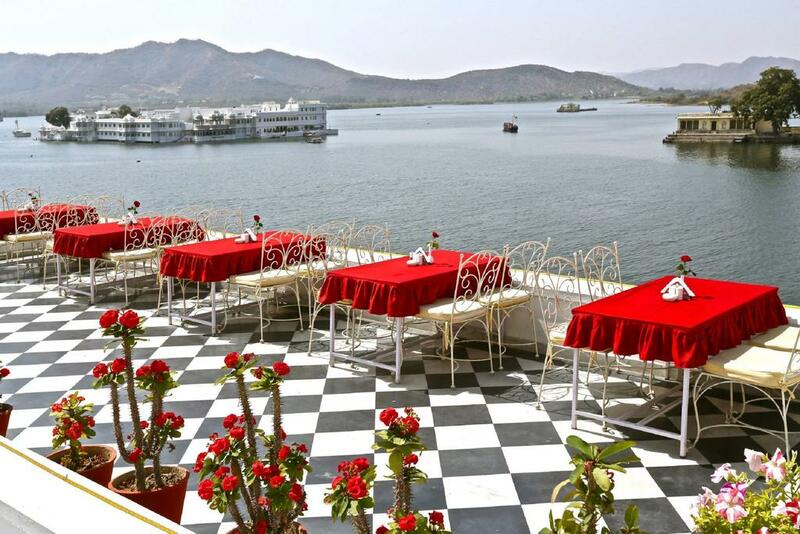 User reviews for "Jagat Niwas Palace Hotel Udaipur"